Fall is officially here and along with the cooler temperatures comes cold and flu season. While flu and the common cold are both respiratory illnesses, they are caused by different viruses and need to be treated differently. 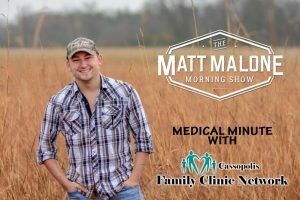 This week Y-Country Medical Minute quickly discusses the difference between cold and flu systems. Flu and the common cold have a lot of similarities in symptoms so it is often difficult to tell them apart. Flu symptoms often come on suddenly and cold symptoms are often more gradual. Fever, aches, chills are more common with the flu. Chest discomfort cough and headaches are common flu symptoms. If I have flu symptoms what should I do? If you are experiencing flu-like symptoms, call your primary care provider and schedule an appointment to be tested for the flu virus. Stay away from those who are ill or who have the flu. 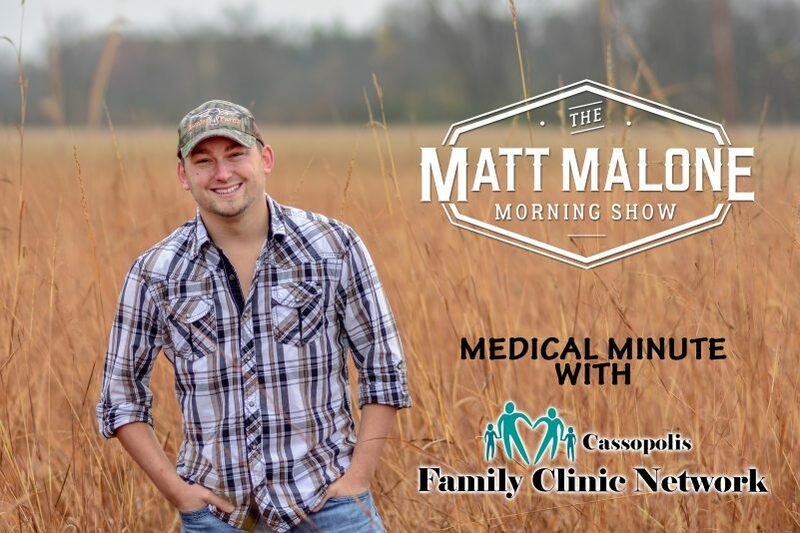 Tune in to the Y-Country Medical Minute brought to you by Cassopolis Family Clinic Network every Monday morning at 8:40 a.m. on 97.5 Y-Country during the Matt Malone Morning Show.